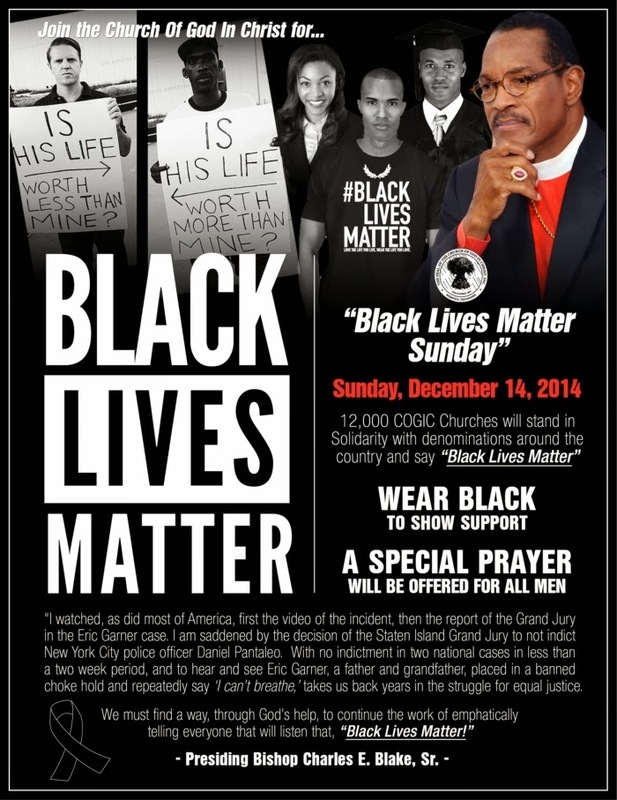 New Bethel COGIC, The Dunamis Word and entities in which I, Pastor Harvey Burnett, have association or oversight of, also gladly join in with our national church organization to send a message around the country that we believe that BLACK LIVES MATTER! The quality and current condition of Black Lives matter as well. Therefore, we call upon business and social and political leaders to help create and develop sustainable economic opportunities whereby Black and poor minorities can be and become gainfully employed and a relevant part of the development of their communities. Therefore, we call on the police and other entities entrusted with the preservation of the public trust to create methods of communication and dialogue that are in the best interest of the entire community and that safeguard all citizens. We commend both citizens and authorities to be held accountable to following those established guidelines and standards, quickly fixing and redressing issues that arise. We call on law enforcement at all levels to work with the community and community groups in developing strategies and tactics that best serve the public, fight crime and be of a benefit to all citizens. We Believe That The Local Process Of Police Policing Themselves And The Use Of The Local Prosecutor Or States Attorney In The Cases Of Police Killing Is Ineffective And Ask For A Complete Overhaul In The Process Which Includes An Automatic Independent Review Of Each Occurrence In Which A Citizen Is Killed By A Law Enforcement Official. All around the country, in events such as those that took the life of Michael Brown and Eric Garner, the public relies on the local States Attorney's office for Grand Jury assembly and due process. The States Attorney's office however is placed in an immediate position of conflict of interest because that office regularly works with police in order to produce convictions against criminals. We believe that process should be changed immediately simply based on the "appearance" of conflict. We believe that legal review should be an "at arms length" process and regulated independent review appears to be the best way to create and maintain that type of relationship. We believe that the community policing strategy of "broken windows" is a tragedy and must be done away with. We believe the the theory of "broken windows" leads to tragic incidents and standoffs between police and citizens. We believe that this failed theory has contributed to the mishandling of both innocent citizens and citizens such as Eric Garner allegedly engaged in certain low level crime or criminal activities. We believe that the "broken windows" strategy is a racist strategy at root and only leads to racial profiling. We believe the courts, including the Supreme Court of the United States, should backtrack historical decisions and reaffirm 4th Amendment protections for ALL citizens. The historically wild and fanciful interpretation of the courts at the recommendation of law enforcement has eroded American citizens 4th Amendments rights. A violation of 4th Amendment protections has led to excessive "stop and frisk" policies reinforcing practices of racial profiling that we see in departments and communities that embrace such theory. This must STOP! Good and exceptional officers should be hailed for their values, efforts and commitments to their communities. We believe that police departments nationwide are filled with good police who respect and serve the public. We commend those good officers and leaders to stand forward, stand up, and reclaim their departments from associates who may have questionable tactics, methods and philosophies. We are so disheartened with some of the bad people in law enforcement because they are making it really hard for the good cops, as our son is here in the Orlando area. People are getting so afraid of anyone in a law enforcement uniform that it's making it very difficult for the honest cops out there doing the right thing and making a positive impact in the community in which they serve. It is so very important for ALL of us that when GOOD and HONEST law enforcement gets on the scene of an emergent situation, that they are able to get control of the situation or else a lot of lives can be at stake. If people have a preconceived thought that ALL cops are "crooked cops" this will add more chaos at the scene because of this preconceived way of thinking. All of us can potentially suffer when we ourselves may really need to call "911" because we may be in a life threatening situation where if law enforcement isn't able to get control, our life or our loved ones lives may be at stake. It truly is an unfortunate and scary situation that our nation is in right now because of the bad cops out there. God bless the Furness family and may the protection and the guidance of the Lord be upon them, their son and his family as he serves both God and the community in his profession. Labels: Alleged Police Brutality, Bishop Charles E Blake, Church Of God In Christ, Pastor Harvey Burnett, Peoria Police Dept. As I have stated elsewhere, anyone who feels that making the police accountable for their actions is some "ungodly" or necessary act is simply a notion out of ignorance. First, the nature of the church is to deal with sin in all forms. Racism is a fundamental part of the sin nature. The church has dealt with that and continues to deal with that every Sunday. So this issue is fit for the church to address as it always has and will continue to do. Secondly, the former Mayor of NYC stated that Black activists should be more concerned about Blacks killing Blacks than anything else. He noted that 93% of people who are Black are murdered by other Blacks and simply uses media as support. What the Mayor Giuliani failed to say was that 83% of Whites who are murdered are murdered by other Whites as well. As I said previously, the message of salvation deals with the murderous tendency of men because of sin. No matter if one is White or Black, one needs salvation. Secondly, the reason that we lead the conversation with Black Lives Matter, which is something that is clearly based on racial lines, is because there is no other race in America that displays a systematic pattern of killings at the hands of individuals trusted to "protect" the public interest. We can produce very little historical evidence of either white or Black police killing White individuals over time. In nearly every situation where police have killed a Black man or woman it has been at the hands of a White officer. In addition, similar to Eric Garner and Michael Brown, there has been no or very little effort to secure justice by way of bringing alleged criminal officers to trial through the state and local process. Sending the message that Black Lives Matter, is just what it is....a message to authority that Blacks are a valuable part of every nearly community in the United States and deserve equal treatment under the law and legal process.